In an attempt to lift the state out of the hard times of the Great Depression, the Nevada state legislature votes to legalize gambling. Located in the Great Basin desert, few settlers chose to live in Nevada after the United States acquired the territory at the end of the Mexican War in 1848. In 1859, the discovery of the “Comstock Lode” of gold and silver spurred the first substantial number of settlers into Nevada to exploit the territory’s mining opportunities. Five years later, during the Civil War, Nevada was hastily made the 36th state in order to strengthen the Union. At the beginning of the Depression, Nevada’s mines were in decline, and its economy was in shambles. 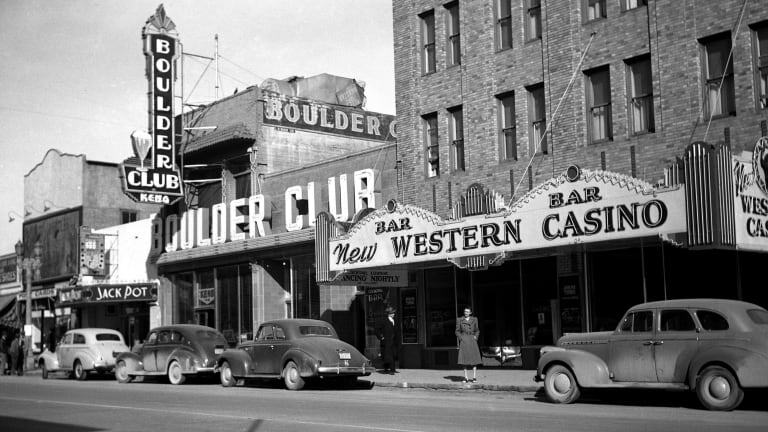 In March 1931, Nevada’s state legislature responded to population flight by taking the drastic measure of legalizing gambling and, later in the year, divorce. Established in 1905, Las Vegas, Nevada, has since become the gambling and entertainment capital of the world, famous for its casinos, nightclubs, and sporting events. In the first few decades after the legalization of gambling, organized crime flourished in Las Vegas. Today, state gambling taxes account for the lion’s share of Nevada’s overall tax revenues.